Another week and my master closet is not done. We are still waiting for the hardwood floor. Jumping of joy for more days of having to tour the house to complete an outfit. Shoes in one corner. Tops in the spare room and bottoms in the crafty room. Confession time: I've been wearing the same shoes out of laziness. Also in progress is some spindle spinning. Of course, I discovered another bag of blue fiber after I was done with three skeins (blogged here). My goal is to be done tomorrow. We are going on vacation and I want an empty spindle to start a new project. Talk to you after vacation. Knit, eat and smile at every opportunity! 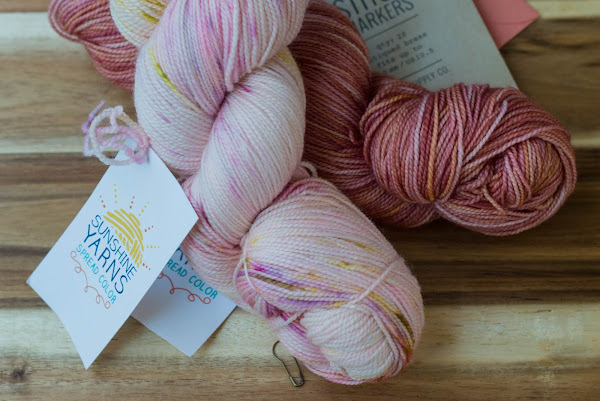 I love how the right yarn or fiber can create a ray of sunshine in life. I think you chose some lovely skeins to come live with you. I am thinking of using them together in a shawl pattern...maybe "Different Lines" by Veera V. Thanks for your comment Audry (love reading you!). Have a great holiday. 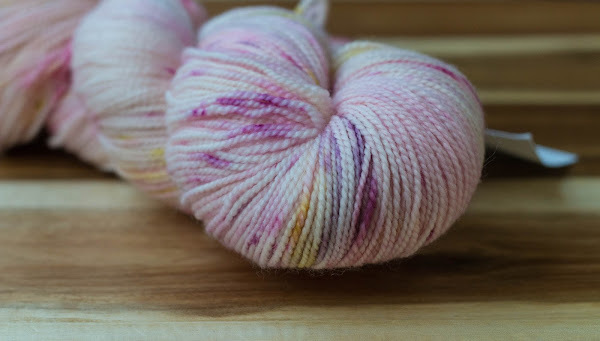 What a pretty colour of yarn. The new stash enhancements...be still my heart! Beautiful selections, Monica.